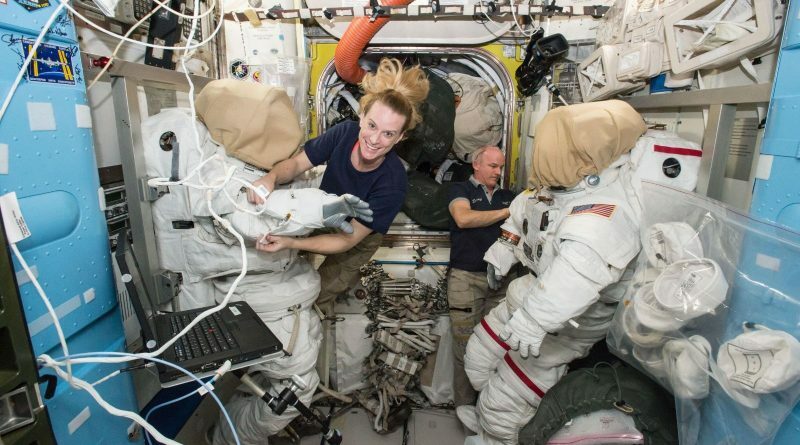 A critical docking adapter installation is on tap aboard the International Space Station this week with an ambitious task outline split between robotic work completed remotely from the ground and a spacewalk to be carried out on Friday by Station Commander Jeff Williams and Flight Engineer Kate Rubins. 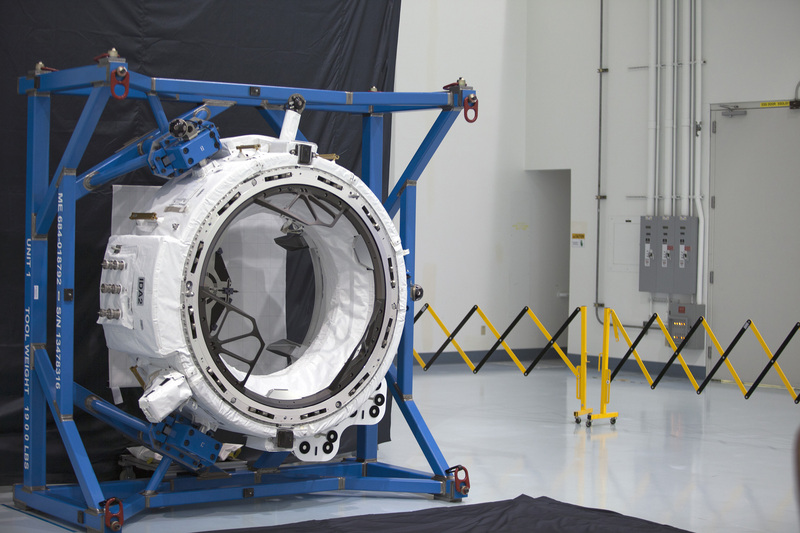 International Docking Adapter 2 is to be installed on Pressurized Mating Adapter 2 to convert the docking port after being in use for 35 Space Shuttle missions to a usable port for upcoming Commercial Crew vehicles that are planned to begin flying to Station in late 2017. The installation of at least two International Docking Adapters is critical for the remainder of the International Space Station’s life because they will allow any spacecraft using the International Docking Standard to arrive at ISS. These spacecraft first and foremost include the SpaceX Dragon 2 and Boeing’s CST-100 Starliner that will take over crew ferry missions to and from ISS in 2018. However, the International Docking System Standard documentation is available to any government and private endeavor, allowing a variety of spacecraft to be built according to this standard. 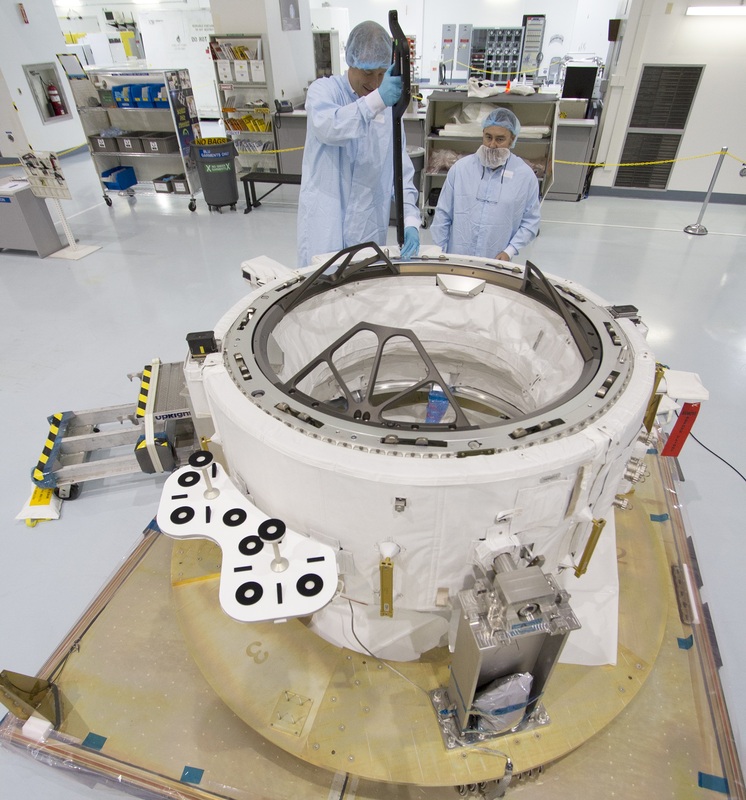 NASA’s Orion spacecraft, while aiming for targets beyond Earth orbit, also uses this docking standard. 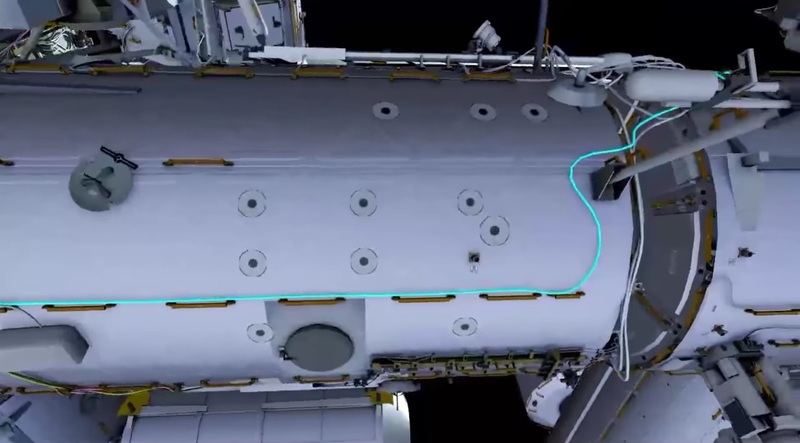 Per the current plan, International Docking Adapters will be installed on Pressurized Mating Adapter 2 that represents the forward point of the Space Station, and PMA-3 once it has moved from its current location on the Node 3 module to Node 2 Zenith, pointing up toward space while ISS is in its regular orientation. Well before the launch of the first Boeing-built IDA, work was underway aboard ISS to prepare for the conversion of the APAS-95 docking interfaces. 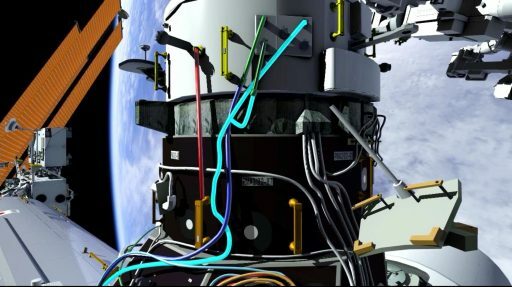 In 2015, four spacewalks were conducted to complete the preparatory steps for the IDA installation, notably the routing of dozens of meters of cable to provide power and data connectivity to the IDAs and the spacecraft docked to them. 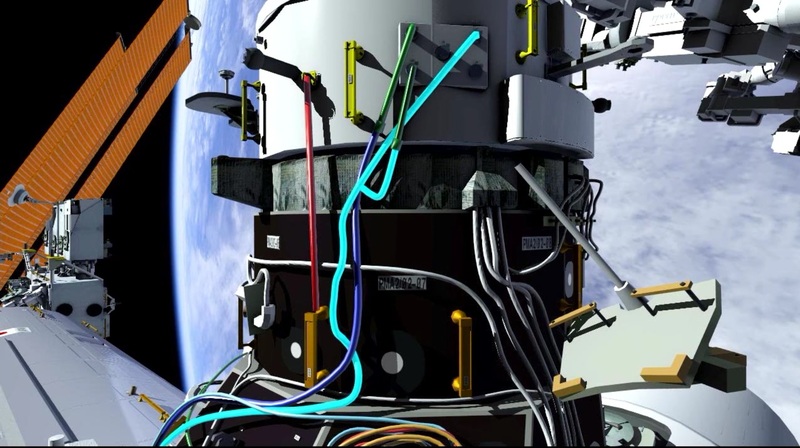 The first three EVAs were completed by Barry Wilmore and Terry Virts who had to move back and forth between the Destiny Laboratory Module and the future locations of the two IDAs to lay down a dozen cables that will carry power to the various IDA systems, deliver data for IDA commanding and connect the docked spacecraft to ISS power and data circuits. 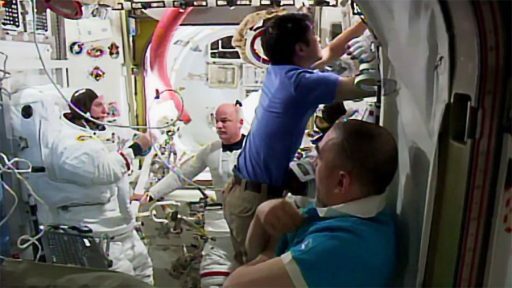 Work was finished in December with a spacewalk by Scott Kelly and Tim Kopra who installed the C2V2 proximity communications system and finished the forward cable routing task. 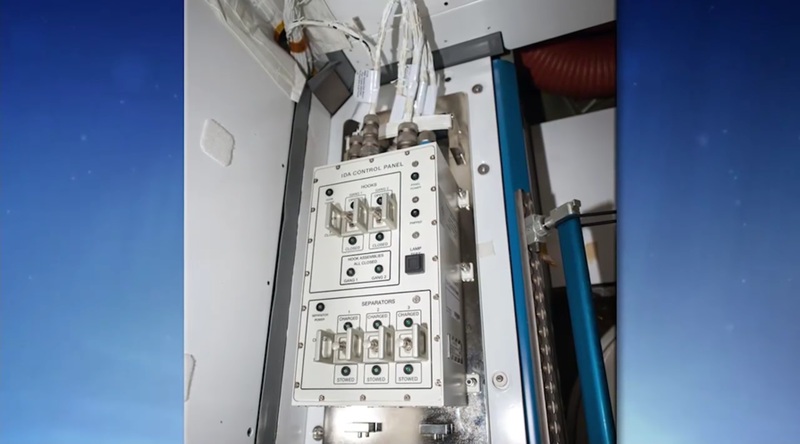 Internally, the ISS crew placed control units and completed wiring tasks to be ready for the installation of the first IDA which will require a threefold effort from the robotics team on the ground, the spacewalkers outside ISS and the crew members inside the Station. The first International Docking Adapter (IDA) was lost in the failure of the Dragon SpX-7 launch in June 2015 when the Falcon 9 rocket disintegrated just over two minutes into its flight due to a structural failure on the second stage. 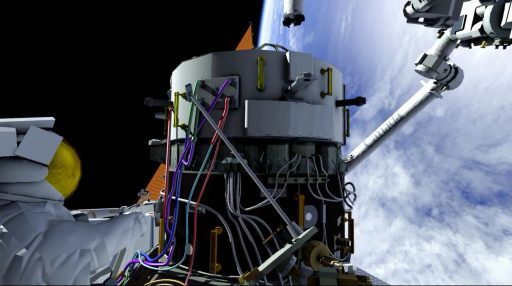 After the loss of the first IDA, NASA instructed Boeing to begin the construction of a third IDA from leftover parts to be ready to fly to ISS in late 2017 to take the position on PMA-3. 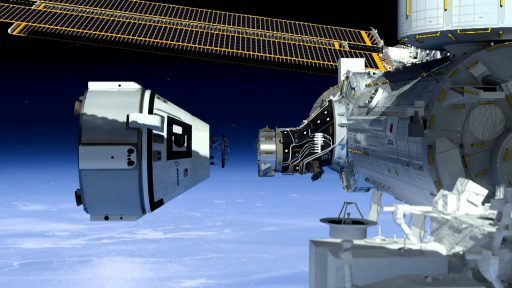 NASA developed rationale to allow the Commercial Crew Program to proceed even if only one IDA is present at ISS when Dragon and Starliner start flying – putting quite some pressure on the launch of IDA-2 aboard the Dragon SpX-9 spacecraft to keep up the Commercial Crew schedule. Dragon lifted off from Cape Canaveral atop a Falcon 9 rocket on July 18 and was captured and berthed two days later, marking the delivery of vital science cargo as well as IDA-2 located inside the external Trunk Section of the Dragon. 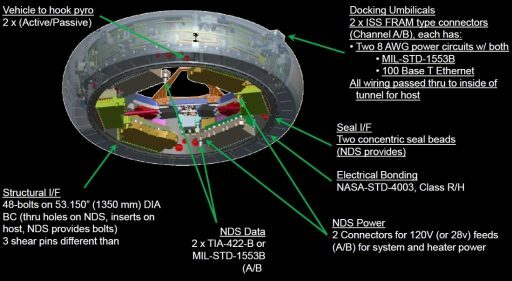 The IDA is a relatively hefty piece of equipment, weighing in at around 450 Kilograms and facilitating an 80-centimeter tunnel the crew and equipment will pass through when transferring to ISS. 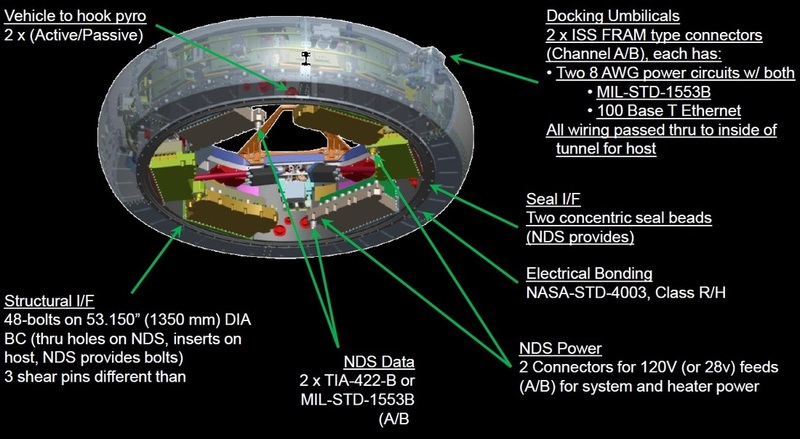 On the backside of the IDA is an interface that complies with the active APAS standard to be able to mate with the Passive APAS on the Pressurized Mating Adapter while the front side hosts the passive interface of the NASA Docking System that is compliant with the International Docking Standard. 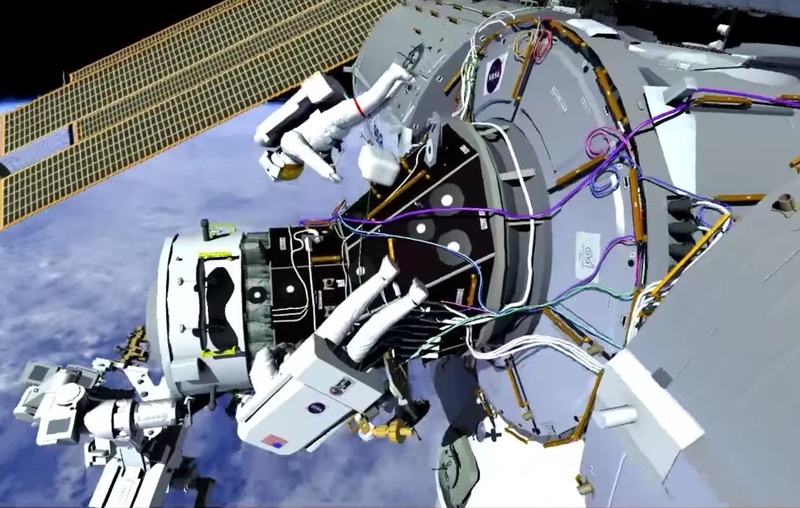 Preparations for the critical IDA-2 spacewalk began on July 25 when the crew retrieved the Extravehicular Mobility Units in use for the EVA – EMU #3003 will be used by veteran spacewalker Jeff Williams while first-time EV crew member Kate Rubins will use suit #3008. 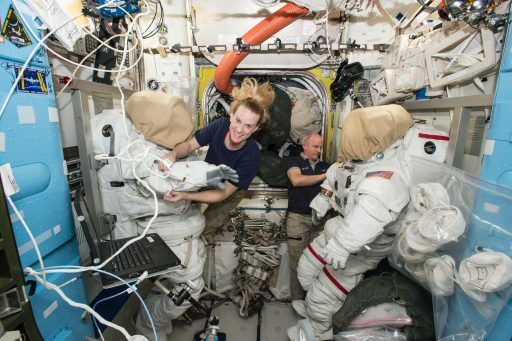 Both are recently refurbished suits and were prepared by the crew members to provide a perfect fit, verified via an ingress rehearsal on August 10. 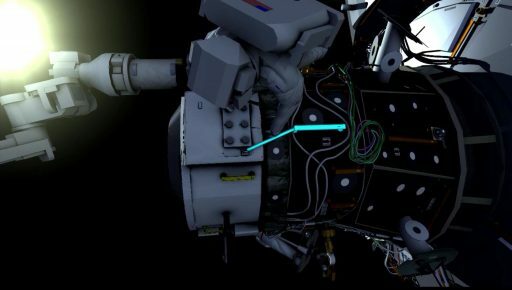 Over the course of the last two weeks, the two spacewalkers refreshed on training received on the ground via procedure reviews and virtual reality software. 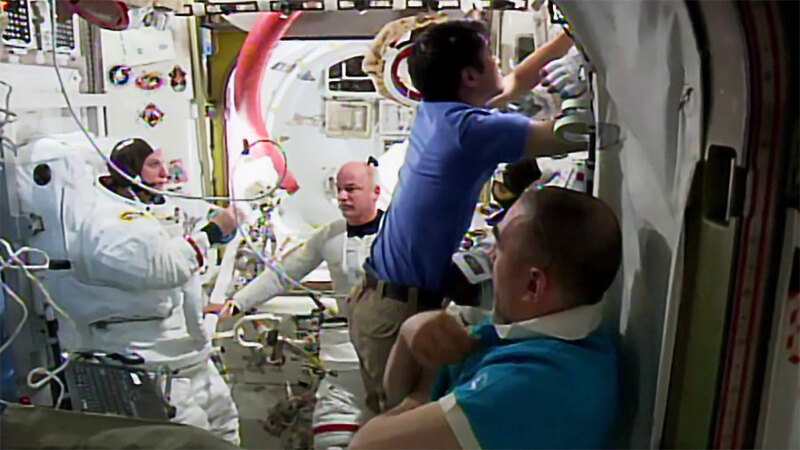 Both crew members rehearsed the spacewalk at the Neutral Buoyancy Laboratory several times prior to launch – a rare luxury since most ISS spacewalks are performed on an on-need basis without much notice. Equipment preparations included the setup of tools and tethers and the crew members spent time readying the life support systems of their EMUs to be in a good configuration well ahead of the big day on Friday. 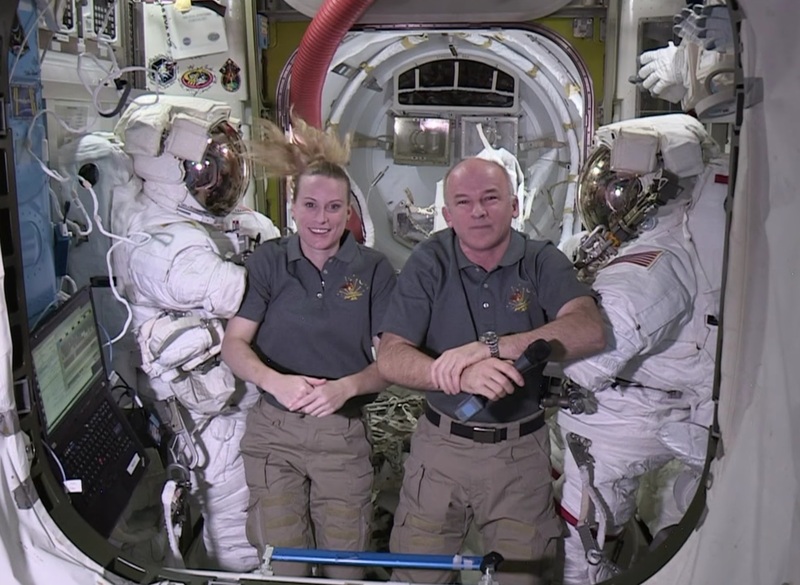 On the ground, a last check of EVA procedures and potential contingency activities occurred as part of an ISS Mission Management Team meeting on Monday that provided the green light to press into the week’s busy schedule. 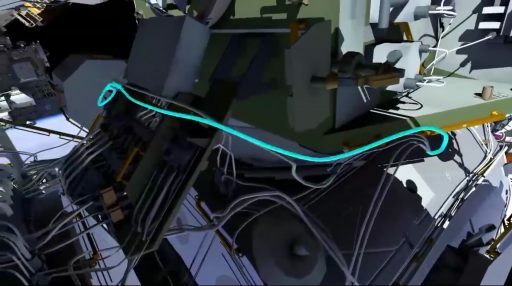 The installation operation of IDA-2 on PMA-2 is a twofold effort that picks up on Wednesday with the bulk of robotic work before Williams and Rubins egress on Friday to complete the structural and electrical integration of the adapter. Enlisting the help of the 18-meter long Canadarm2 and the Dextre Robot, the ROBO Team on the ground will be tasked with grappling the H-Fixture of IDA inside Dragon’s Trunk. A previous video survey has verified that IDA was in the expected condition after launch and no problems are expected during its extraction from the trunk which will be performed very slowly once launch locks have been released to free up the IDA. A series of pre-programmed maneuvers will follow to transition Dextre and IDA-2 to a standoff from Pressurized Mating Adapter 2. 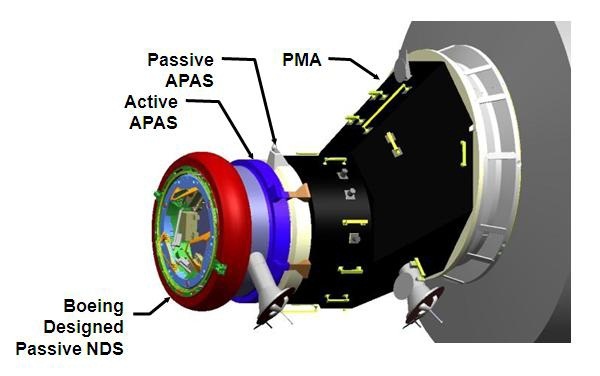 Teams will then work on the alignment of the IDA and slowly back it into PMA-2. IDA-2 will be placed at a standoff of around half a meter until shortly before the EVA on Friday morning when the adapter will be pushed in to be in contact with the PMA. Should any problems arise with the alignment of IDA, ROBO controllers will place the adapter to a closer standoff and rely on the crew for the final installation as part of a well rehearsed backup plan.